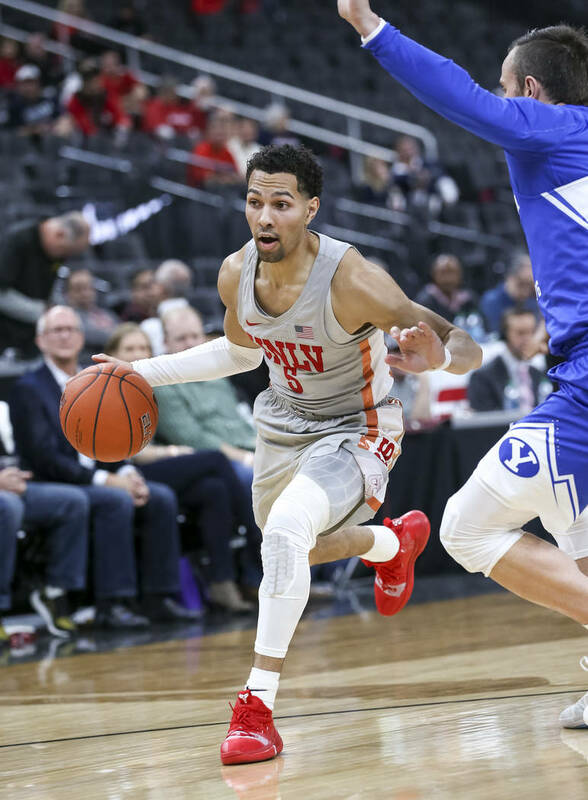 A forgettable start to his final college season hung in the air before an announced crowd of 5,107 at T-Mobile Arena, but when Noah Robotham’s fallaway 3-pointer fell, the Rebels had a 92-90 overtime victory over Brigham Young. 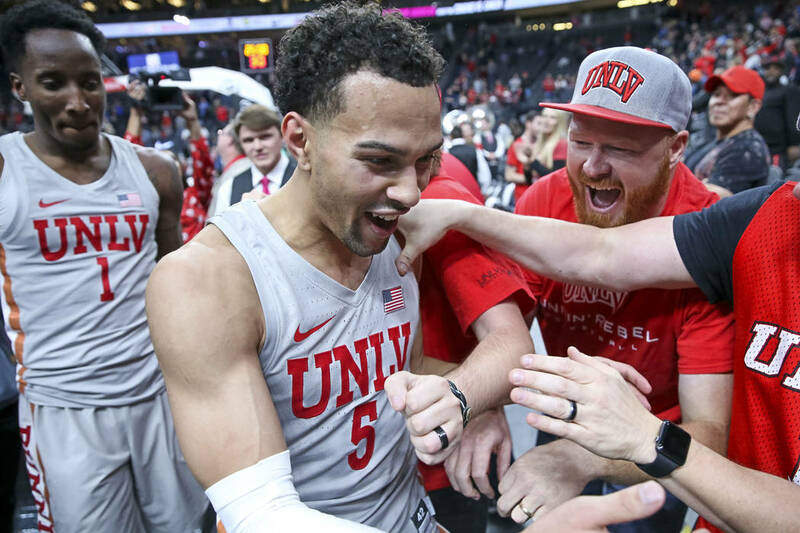 The games passed early this college basketball season and the shots wouldn’t fall and Noah Robotham searched inward, reminding himself of those motivational words he often embraced in such moments, all that stuff about when the going gets tough, the tough get going and that pressure can burst a pipe or make a diamond. Shooters shoot after all, slumps be damned. 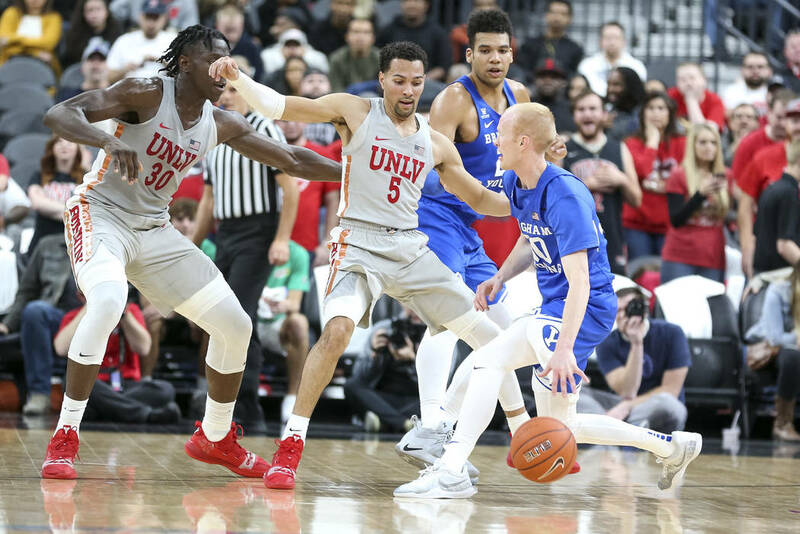 One of the finest kids Las Vegas prep basketball has produced came home to make a difference, to create the sort of dramatic ending UNLV offered Saturday at an opening game of the Neon Hoops Showcase, to be a short-lived but critical piece in the program third-year coach Marvin Menzies is building. 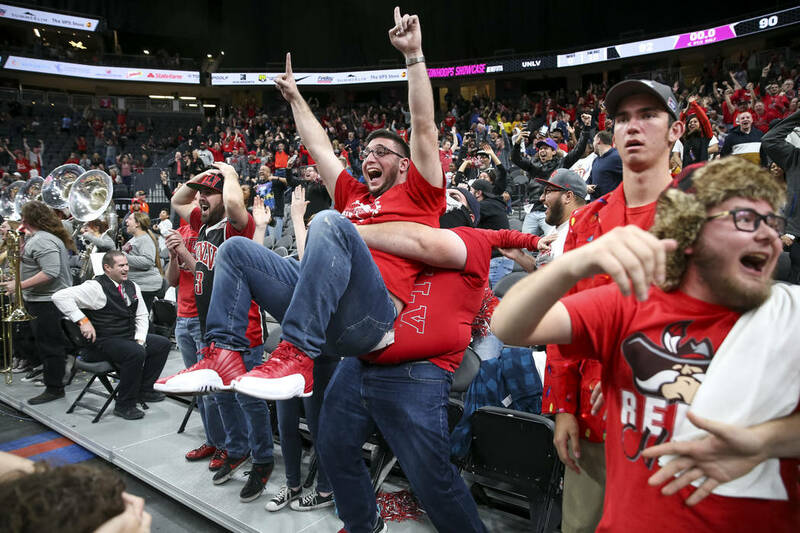 The forgettable start to his final college season hung in the air before an announced crowd of 5,107 at T-Mobile Arena, a descending sphere that could turn UNLV’s fortunes or extend a three-game losing streak to four, a fallaway 3-pointer from Robotham that when going through net, gave the Rebels a 92-90 overtime victory against Brigham Young. 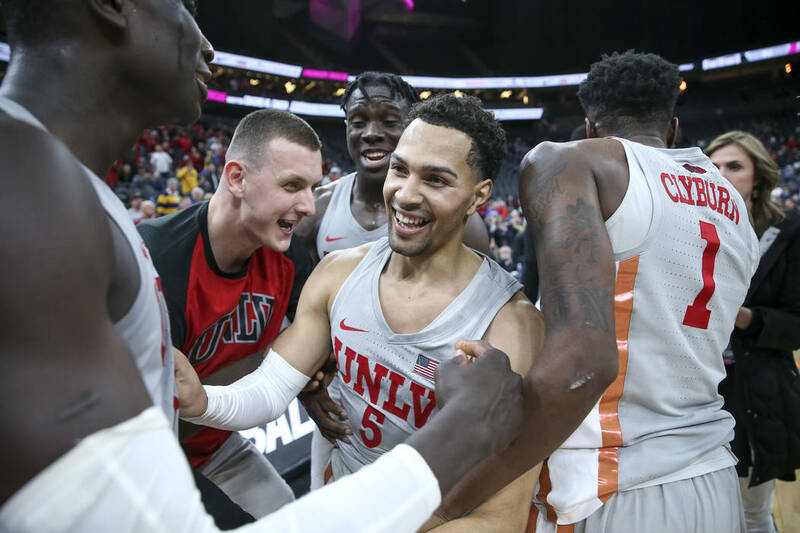 It was more than that, lending support to the preseason premise that Robotham as a transfer from Akron could in the most significant of times prove to be one on whom UNLV would rely. He is as beloved a player as any to wear the Bishop Gorman High uniform, a three-year starter and four-year varsity player born and raised on all things Gaels, as solid a leader as the state’s premier program has had, one whose Division I offers pretty much began and ended with the Zips of the Mid-American Conference. Bishop Gorman never lost more than four times in a season during those years Robotham was its point guard. All the kid has done is win. He would start 85-of-87 games at Akron and be part of 74 victories in what is a really good conference (have you seen Buffalo lately? 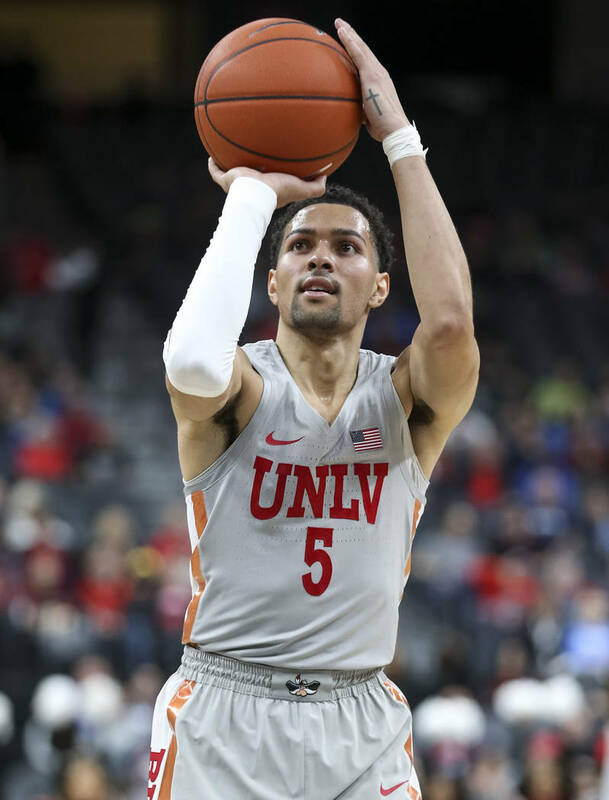 ), but then sat out a transfer season at UNLV before now starting all nine games as a senior. 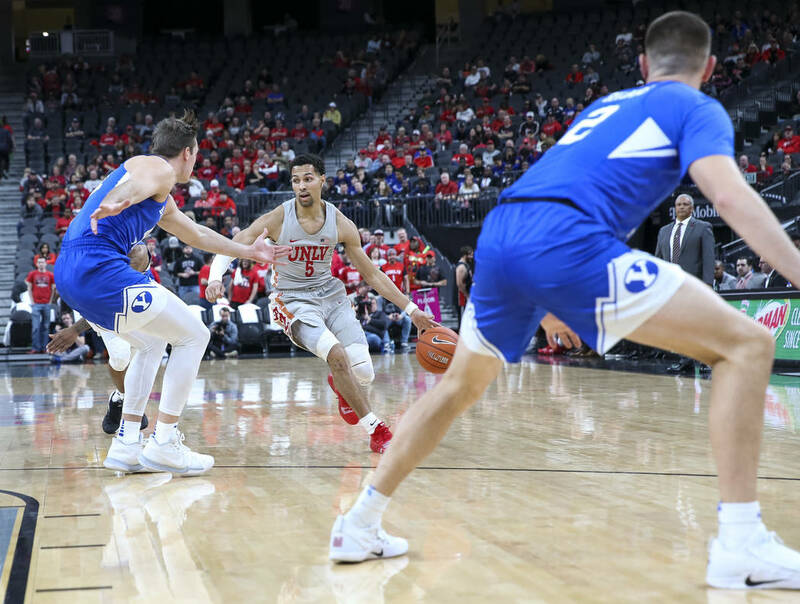 While there might be more to numbers in terms of how they are produced, these don’t lie: Robotham entered Saturday shooting just 31 percent, including 10 of 42 on 3s for 24 percent. Worse yet, he shot that poorly from distance and yet had still attempted 11 more 3s than the next player (Kris Clyburn). Robotham had been struggling mightily, and that’s a nice way of putting things. He was brought home to make shots. That’s his role. And yet he hit a gigantic one Saturday, allowing the Rebels to win a game that saw them lose all of a 17-point halftime lead. Here’s why: Despite the poor outings thus far, Robotham said he has yet to have a bad shooting practice, that his jumpers have consistently found net. So he didn’t panic and begin breaking down all the mechanics that he has remained committed to over the years. He kept thinking that, eventually, things would fall his way. They did, all right, hanging in the air, a descending sphere on which could perhaps turn a season or keep it spinning downward. As fine a kid as Las Vegas has produced. 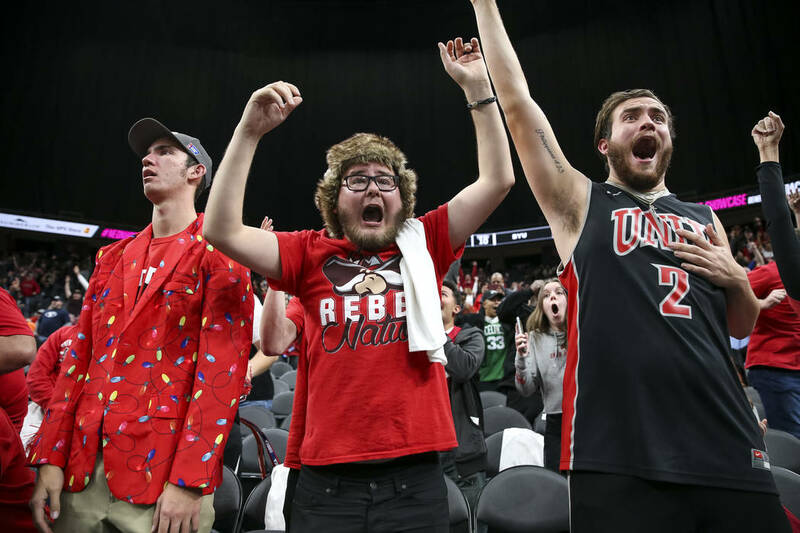 And on this day, with all the pressure atop his shoulders and an overtime clock about the expire, the diamond UNLV desperately needed.